hd00:22Gold fish. 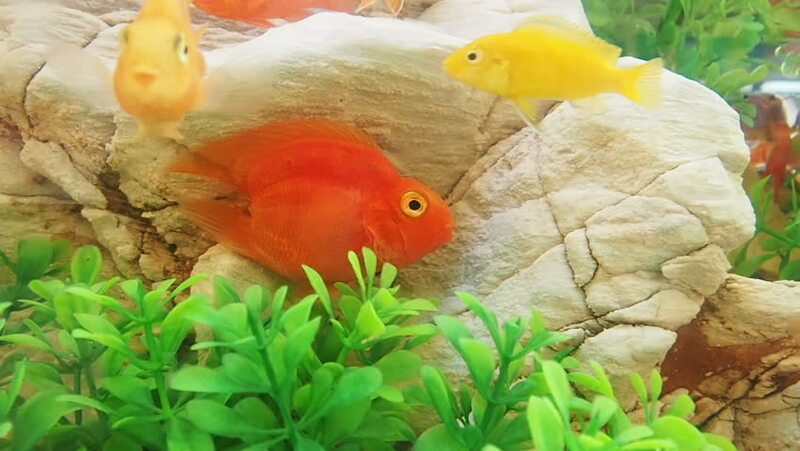 Some gold fish in the aquarium. Swim in an aquarium installed in the office. hd00:06Red-bellied Pacu or Red-bellied piranha (Colossoma macropomum) close-up.